One of many techniques in jewellery making is folding wire after it’s been passed through beads to secure them to chains, holes and spaces. This is a useful technique because it has many applications; especially when the spaces are tightly packed together or irregular. In the video below I’ve demonstrated this technique with the Organic Split Ring Pendant by Amoracast. On one side of the pendant is a slit/space which was designed to imitate the organic nature of tree roots. 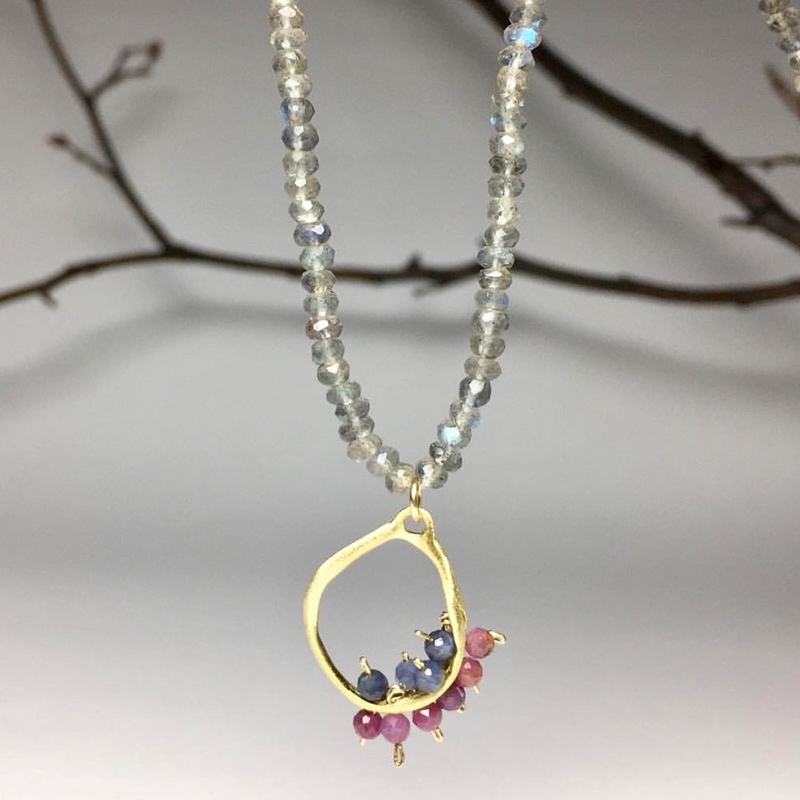 Through the split I’ve attached 3mm sapphire beads, you can use any beads that are wider than the split, or hole ( if you’re using chain or some other component – the same principle apply). By folding or doubling back the wire and pressing it together with pliers, the wire won’t slip through the bead. After I’ve threaded through the split I’m going to do the same with the other side, i’ll add another bead and crimp down on the wire. This way, the beads are secured on either side of the crevice. More can be added on to fill the split. A great idea would be to use birthstones instead of sapphire beads for a family tree symbol. Likewise, instead of crimping both ends, one end could be made into a loop to attach a chain or multiple drops. If you just want to have a drop on one side, the other side can be secured without a bead – simply make a loop larger than the size of the slit, or hole, so that the wire can’t slip through it! This entry was posted in Wire Work, Jewellery Making Tutorials, Jewellery Making Techniques and tagged jewelry making techniques, Jewellery Making Techniques, making jewellery, making jewelry.